Today was actually the second meeting for the Angklung Group members. Two sessions were conducted: the juniors, who are the form two students - the first timers, in the morning while the senior section in the afternoon. 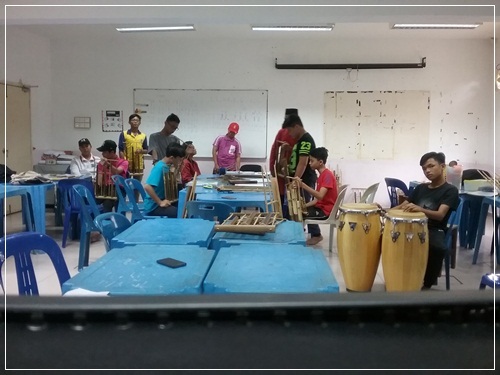 The new players were taught to play a simple song: "Enjit-enjit Semut" and they really learned fast. Hopefully they will be ready to perform in front of the audience real soon. As for the senior section members, I hope that many of them will not leave the group as they are now in form 3 and 5, and will be sitting for their PT3 and SPM exams, respectively. Or else I will have to get the new members from the junior section into the group.